Vassal is a game engine for building and playing online adaptations of board games and card games. You can use Vassal to play in real time over the Internet or by email. Vassal runs on all platforms and is free, open-source software. In downloading a Vassal module, you are acknowledging you own a physical copy of the game and are agreeing not to distribute the Vassal module other than to a singular opponent. Decision Games is offering Vassal game modules for some of its monster-sized games as well as smaller games. The modules include a digital version of the map and counters. To order, place the item in your cart (be sure you have an account set up first) and checkout*. After checkout you will need to immediately click the download link on the "thank you" page. If you forget to download or miss the link please contact our service department. *There is no charge for Vassal modules and we ask that you do not combine an order for Vassal modules with any other purchase to insure proper and timely processing. To remain on our mailing list for future notices we need a complete and accurate account set-up. 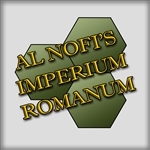 Al Nofi's Imperium Romanum - The Rise and Fall of the Roman Empire is an update to the classic game of the Roman Empire by Al Nofi. The rules cover the intricacies of the political, economic, and military conflicts of the Roman world from the first century BC to its fall nearly 700 years later. The game includes over 40 scenarios, with six new scenarios and three introductory scenarios. Scenarios range from the Mithridatic wars (88-63 BC) through more than six centuries of greatness and decline to the final burst of glory in the last Romano-Persian War (AD 622-629). Two to six persons may play, depending on the scenario chosen. Scale is 50 miles to the hex and each unit represents Legions and Fleets. Most leader counters are named and represent individual leaders and their staffs. 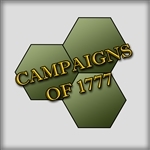 The Campaigns of 1777 is a two-player, point to point wargame in which you command the Patriots or the British in the northern Colonies during 1777, the critical year in the American War for Independence. The tone for the British was set by leaders like Howe, Burgoyne, Cornwallis and Clinton while the Patriots marched with leaders like Washington, Greene, Arnold, Schuyler and Gates. 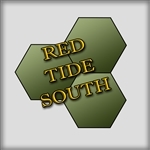 Red Tide South. A war in Europe during the 1980’s was primarily going to be decided, one way or the other, in West Germany. Other fronts and theaters were therefore almost irrelevant in the short term. Considering the Soviets’ exceedingly optimistic timetables by which they intended to overrun West Germany, events elsewhere would have not even played out before the war ended (either by mutual annihilation or by rapprochement). Tobruk uses the same system as Sedan: The Decisive Battle for France, May 1940. 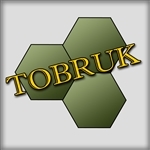 Tobruk is a simulation of British Eighth Army’s Operation Crusader, the attempt to relieve the Tobruk garrison during the period from November to early December 1941. 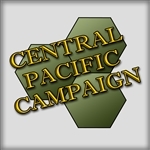 The Central Pacific Campaign is a solitaire, strategic-level wargame of the struggle for control of the Central Pacific during World War II. The solitaire player is commanding the US forces and the system controls the Japanese forces. The player wins by accomplishing historic campaign milestones ahead of what was done historically, thereby opening the way for an earlier invasion of Okinawa or Formosa. 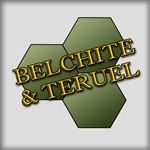 Spanish Civil War Battles is a two-player, operational-level wargame of the Belchite (August to September 1937) Battles of Teruel (December 1937), and Alfambra (December 1937 to February 1938). The game uses Eric Harvey’s popular Fire & Movement system rules with exclusive rules allowing the game to simulate these three important struggles of the Spanish Civil War. The map consists of two separate half-sheet maps depicting the area of the battles at 1km per hex and many of the charts and tables required to play the game. Peaks of the Caucasus simulates the German offensive in the southern Soviet Union in 1942, and the ensuing Soviet Counteroffensive. The German objective was initially the Caucasus oilfields, but the campaign turned into a struggle for the city of Stalingrad on the Volga. 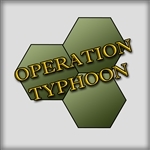 The game uses a variant of the “Boots system” to model higher echelon command-control and logistics, and their impact on the theater of operations. The map is divided into two sectors: Stalingrad and the Caucasus. 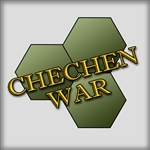 Chechen War is an operational-strategic level two-player simulation of the 1st Chechnya War (1994-1996) wherein the Russian Federation under Boris Yeltsin attempted to directly and forcibly put an end to the Chechen independence movement. The Russian player must deal with low morale at the front and at home to win the war to keep Chechnya within the Russian Federation. 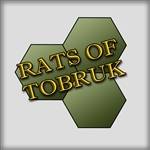 The Chechen player is outgunned and outnumbered, but can wage an effective guerilla campaign to bog down the entire Russian effort and thereby achieve independence. To order, place the item in your cart (be sure you have an account set up first) and checkout. After checkout you will need immediately click the download link on the "thank you" page. If you forget to download or miss the link please contact our service department.